By embracing SMS technology, Eastleigh Borough Council have been able to cut costs and enhance the ways in which they communicate with their constituents. The Borough of Eastleigh is a local government district and borough in Hampshire, England, bordering the unitary authority of Southampton, Test Valley, the City of Winchester and the Borough of Fareham. 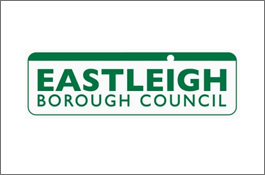 Eastleigh Borough Council is committed to being as open and approachable as possible to local residents and businesses and provides 24 hour access to council services. The Council was keen to utilise improving technology in their ongoing commitment to offer more choice. Recognising the increasing role that mobile phones play in everyday life, they decided to add text to the communication methods available to residents for contacting them. ProcessFlows installed a networked SMS solution that is integrated with the Council’s Exchange/Outlook email setup. When an SMS message is received, Text Message Server routes the message into the designated inbox on MS Exchange. There it can be processed just like any other email message. SMS messages sent from email are routed to the Text Message Server which then sends the message out. “Integration was a primary requirement for us, but this was not an issue with ProcessFlows’ solution.” said Peter Nailer, Information Systems Developer at Eastleigh Borough Council. The Text Message solution allows any person with a mobile phone to send a text message to the Council. These messages are received into a central email inbox and are then forwarded on to the correct Service Unit to be processed. Replies can be sent out as SMS messages from any email client within the organisation. The solution also provides the option to route messages directly to a Service Unit by including an appropriate code within the message – functionality that is particularly useful for remote staff. Information Systems Developer, Eastleigh Borough Council. Try out all these features today with a free trial. Sign up now and we’ll throw in 25 credits to get started.